Taco Bell—America’s best stoner restaurant—is synonymous with late-night eats. Whether you have the munchies or just enjoy a good fourth meal, the chain has pushed through the years to make sure it’s top of mind when that 2 a.m. craving strikes. But another burrito-slinging chain now wants in on a slice of that business: Chipotle. 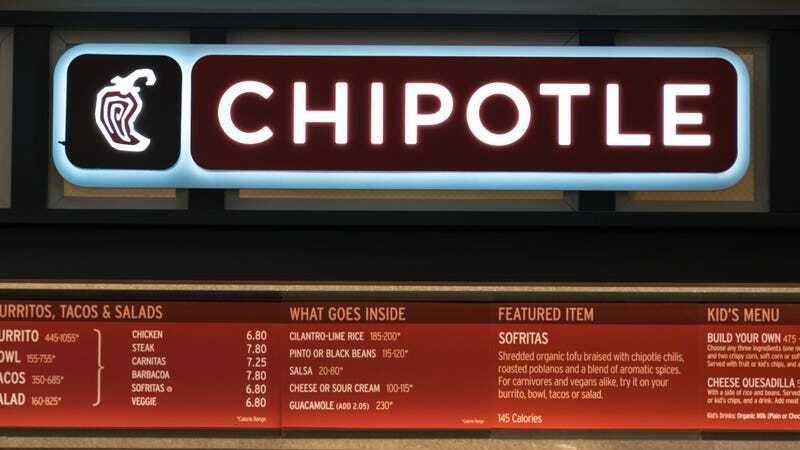 Chipotle’s reputation never quite recovered after the chain’s 2015 food-safety debacle, in which E.coli-tainted food sickened hundreds of customers. That’s not just conjecture: A poll earlier this year found customer trust in Chipotle is lower now than it was at the height of the E.coli crisis. Now the chain is crossing its fingers that Niccol, with a track record of success at Taco Bell and Pizza Hut, can finally usher in a turn-around, one 2-a.m. taco at a time.